Interventional Diabetology is recognized as a cutting edge paradigm for treatment of Type 2 Diabetes. 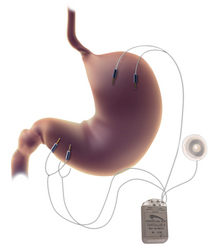 The TANTALUS gastric stimulator System, regarded as the first CE approved Interventional Diabetology device, was developed by MetaCure, to treat the Type 2 Diabetic and obese population. TANTALUS significantly improves glycemic control, blood pressure and lipid profile while inducing moderate weight loss. TANTALUS maintains these effects for at least 2 years making it an attractive treatment option for diabesity patients who fail on pharmaceutical treatments. In a talk given at the Advanced Technologies & Treatments for Diabetes (ATTD) conference in London, Prof. Dirk Müller-Wieland from Asklepios Clinic St. Georg, Hamburg discussed the Interventional Diabetology paradigm for treatment of Type 2 Diabetes. Bariatric surgical intervention has gained recognition as a treatment for Type 2 Diabetes. However, this is mainly true for the more invasive surgeries which are irreversible and come with significant risk and lifestyle changes for the patient. The latter procedures are only prescribed to the severely obese patients (BMI>35) and not to the majority of diabetics, who have more moderate BMI. There is an unmet medical need for Interventional Diabetology solutions for the moderately obese population. The TANTALUS system employing a meal dependent gastric stimulation regime, inducing early satiety and leading to HbA1c reduction by a mean 1% with a significant comprehensive effect on blood pressure, lipid profile and weight offers to be such a solution. “TANTALUS is well tolerated by patients and maintains its beneficial effect on blood glucose levels and weight for periods of at least 2 years," stated Prof. Bernhard Ludvik from the Medical University of Vienna in his lecture at the ATTD. “TANTALUS presents a significant step forward in Type 2 Diabetes treatment and is a valid treatment alternative for patients failing on pharmaceutical treatments. Tantalus has been implanted in over 200 patients and is currently undergoing comparison trials in Europe." About MetaCure - MetaCure is a medical device company dedicated to offering innovative minimally invasive solutions for metabolic and gastric conditions with a focus on Type 2 Diabetes and Obesity. The Company’s leading product, TANTALUS has been shown to significantly improve glycemic and metabolic control. The TANTALUS is CE approved since 2007 and is commercially available in select excellence centers in Europe.